TOKYO — Damian McKenzie will start at fullback and T.J. Perenara at scrumhalf in a surprising All Blacks backline formation for Saturday's third Bledisloe Cup test against Australia at Yokohama. Head coach Steve Hansen was expected to pick his strongest XV for the match, even though New Zealand has already clinched the three-test series to secure the trophy for the 16th straight year. Instead, he moved fullback Ben Smith to the wing to accommodate McKenzie and is starting Perenara ahead of No. 1 scrumhalf Aaron Smith, who is on the bench. Later Thursday, Australia coach Michael Cheika shifted Israel Folau to outside center for the match after an ankle injury to Reece Hodge. Moving Folau, who has been reported by Australian media this week as agreeing to a new contract to stay in Australia for up to four years, creates an opening for Sefa Naivalu on the wing. Naivalu has scored four tries in seven tests despite starting predominantly off the bench. Veteran Sekope Kepu is in line to play his 100th test after being included among the reserves and will become the first prop in Wallabies test history — and ninth Wallaby overall — to reach the century mark. Samu Kerevi is also set to make his test return after nearly four months out with a biceps injury. Changes among the New Zealand forwards were mostly dictated by injuries. Joe Moody returned at loosehead prop after recovering from a thumb injury. Lock Brodie Retallick will make his comeback from the bench, with Sam Whitelock and Scott Barrett starting in the second row. Liam Squire also makes a return from injury at blindside flanker while Ardie Savea starts on the openside in place of Sam Cane, who is recovering from a fractured neck vertebrae. Matt Todd, called up from his Japanese club, provides loose-forward cover from the bench while prop Nepo Laulala also returns from injury among the reserves. McKenzie's return at fullback is the most surprising feature of Hansen's selection. He made his last appearance as a replacement in New Zealand's two-point loss to South Africa in Wellington, making the handling error in the last minute which may have cost the All Blacks a match-winning try. Sonny Bill Williams has been named to play his 50th test at center in a midfield partnership with Ryan Crotty. Williams has also been hampered by injuries this season, playing only three of New Zealand's nine tests. 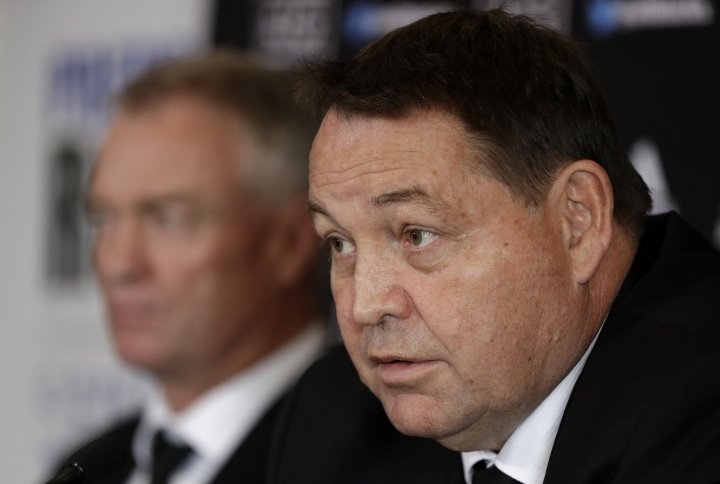 "We'll be up against a good Australian team and they'll be desperate to win but so are we," Hansen said. "We know that they'll come with a lot of passion and physicality but our focus this week has been about us and what we want to bring — intensity, skill and a triple threat game. New Zealand: Damian McKenzie, Ben Smith, Ryan Crotty, Sonny Bill Williams, Rieko Ioane, Beauden Barrett, T.J. Perenara; Kieran Read (captain), Ardie Savea, Liam Squire, Scott Barrett, Sam Whitelock, Owen Franks, Codie Taylor, Joe Moody. Reserves: Nathan Harris, Karl Tu'inukuafe, Nepo Laulala, Brodie Retallick, Matt Todd, Aaron Smith, Richie Mo'unga, Anton Lienert-Brown. Australia: Dane Haylett-Petty, Sefa Naivalu, Israel Folau, Kurtley Beale, Marika Koroibete, Bernard Foley, Will Genia; David Pocock, Michael Hooper, Ned Hanigan, Rob Simmons, Izack Rodda, Allan Alaalatoa, Folau Fainga'a, Scott Sio. Reserves (one to be omitted): Tolu Latu, Sekope Kepu, Taniela Tupou, Rory Arnold, Jack Dempsey, Pete Samu, Nick Phipps, Samu Kerevi, Tom Banks.